Joanne Rubinsohn counsels and defends clients in general liability matters, particularly in the areas of negligence, dram shop, and catastrophic injury matters. 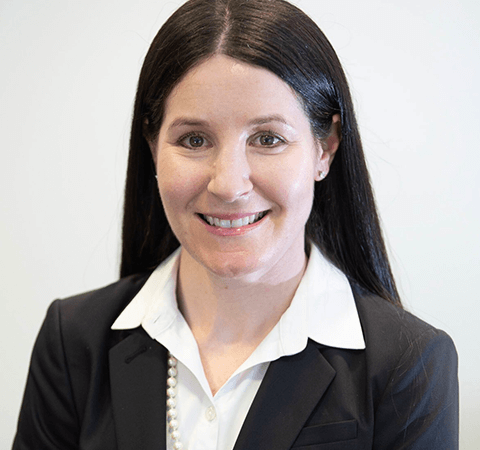 As a partner at Bardsley Benedict + Cholden, she consistently delivers fair and efficient results, whether through trial, appeal, or favorable settlement. Joanne’s extensive experience includes a dram shop case where she secured summary judgment for a restaurant owner against allegations that visibly intoxicated patrons caused injuries to the plaintiff. She also prevailed with a unanimous verdict in favor of a homeowner blamed for the plaintiff’s injuries allegedly caused by a defective staircase. In the Commonwealth Court, Joanne’s skills resulted in the successful appeal of a case for a large public transit company where the Court ruled that if a trial court determines there is a valid agreement to arbitrate and the dispute falls within the scope of that agreement, any dispute over the terms of the agreement must be handled by the arbitrator. Joanne was recognized as a SuperLawyers® Rising Star in 2015, 2016, and 2017, an honor recognizing the top 2.5% of attorneys in Pennsylvania, and has served as a member of the Temple Law Alumni Association Executive Committee since 2007. Joanne enjoys spending time with her husband and five-year-old son out of the office. She is an avid Philadelphia sports fan and enjoys rooting for the home team all season long. Obtained summary judgment in Philadelphia for a restaurant owner against allegations that visibly intoxicated patrons caused injuries to the Plaintiff. Successfully appealed a case for a large public transit company in the Commonwealth Court where the Court ruled that if a trial court determines there is a valid agreement to arbitrate ad the dispute falls within the scope that agreement, any dispute over the terms of the agreement must be handled by the arbitrator. Prevailed in a premises liability trial in Philadelphia where the Plaintiff alleged she slipped and fell on an allegedly defective staircase located outside of her rental property. Represented owner of adjacent home who shared common stairway. Jury took less than an hour to deliberate and return with a unanimous defense verdict.